In a dairy herd, health, welfare and productivity begin with healthy feet. 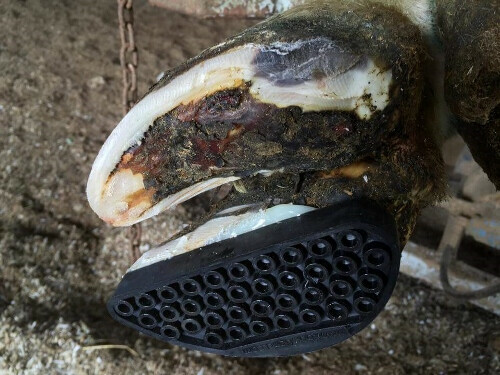 Sanitation, nutrition, hoof trimming, proper animal handling and maintenance of surfaces all contribute to lameness prevention, but when a cow’s claw becomes infected or injured, timely blocking promotes healing, cow comfort and milk production. Brad Ingram is the Midwest Regional Sales Manager for Vettec, and serves as the company’s primary bovine hoof-care expert. Ideally, he says, dairies should trim each cow’s feet twice a year, once before dry off and at mid-lactation (about 120 days) as both a routine and corrective measure. Most heifers, he says, begin their hoof maintenance program at about 18 months of age, after their first lactation. Cows in their dry period after calving are especially susceptible to acidosis and lesions so proper hoof care at the start of the dry off period is crucial. 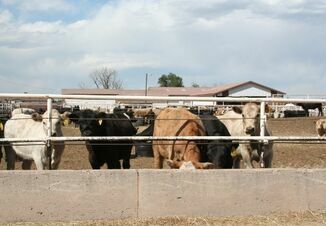 He adds that during the calving period, the stress of being separated from the rest of the herd causes more restless standing, and the cow experiences a natural relaxation prior to calving, which affects the ligaments in the hind legs and results in more movement of the coffin bone, which can angle the bone toward the sole of the foot. Trim by removing sole thickness on the necessary side and front to back with the end result being a flat weight-bearing surface perpendicular to the axial wall. This ensures that the coffin bone remains as horizontal to the sole as possible. Removal of heal surface should be avoided from the medial (inner) claw. The majority of weight is put on the lateral (outside) claw so a balanced foot helps distribute some of the weight from the lateral to the medial. Loose horn is bad horn and it must be removed! When your dentist repairs a tooth, they remove everything that is decayed before repair. The theory is the same. The difference being horn will regenerate if properly treated. Blocking elevates the non-affected claw to relieve pressure on the claw that has been treated for a non-infectious and or infectious lesion. The healing process can take up to six weeks so adhesion and a comfortable non-slip block on the healthy claw is crucial for traction and ample elevation time for the healing process. Use good-quality blocks and proven adhesives such as Vettec’s BoviBond products. Balance and proper fitting are critical, Ingram says. The block should extend just to the end of the toe, perpendicular to the inside edge of the claw and not past the weight-bearing part of the heel. When the block extends too far past the heel, other cows inevitably step on the exposed portion and pull the block loose. Extreme temperatures, especially cold, will affect the adhesive, Ingram says. Keep the adhesive and the block as close to room temperature as possible prior to use. 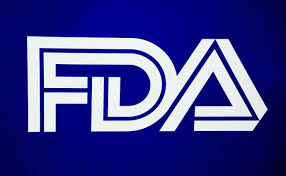 Adhesive labels generally recommend a temperature range. Ingram adds that when blocks fail, the problem often relates back to insufficient time for the adhesive to set. He suggests pressing on the block for at least 30 seconds and keeping the foot elevated for at least 2.5 to three minutes. Aaron LaVoy, a hoof-care specialist with Midwest Hoof Care, says he regularly installs blocks when a cow’s sole is soft or worn through, or if the corium is exposed. He will though, block cows that just show signs of pain and sensitivity in a claw, to prevent the problem from getting worse. LaVoy says he prefers not to use blocks with “toe cups,” or to rely on adhesive on the dorsal wall to hold a block in place. If that that adhesive holds a loose block in place, debris can accumulate between the block and the foot, potentially causing pain and injury. He’d rather just replace a block that falls off than have one that is “hinged” in the front. LaVoy also stresses the importance of the block being lined up with the axial wall and not hanging over where it may come in contact with the lesioned claw. He prefers to apply blocks with roughly a half-inch hanging past the heel, and trimming the excess on the leading edge flush with the front of the claw after the glue has hardened. 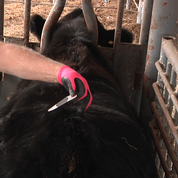 A 45° bevel can help the cow walk more smoothly, he says, by easing the breakover of each step. For marginal cases showing early signs of lameness, LaVoy says he has had good success using short-term blocks such as “Walkease” from Shoof International. These foam blocks naturally compress and disappear after around 10 to 14 days. LaVoy’s clients say the temporary blocks seem to help prevent the need for more extensive treatment in cows with mild lameness. Proper trimming should result in a clean and relatively dry surface, LaVoy says. When prepping the claw, trim to a uniform flat surface for contact with the block and adhesive. He works to keep blocks and adhesives relatively warm during the winter, but avoids using a dryer or heat gun on the animal’s hoof, as too much heat could damage tissue and exacerbate the problem. He recommends cleaning, treating and wrapping any foot lesions first, to avoid disturbing the block during those procedures.